Terrible smell. Male staff was not very friendly and made me wait until 4pm to check me in, did not offer me a chair or anything. The female worker was very nice but other than that this place is terrible. The internet is very bad, we could not perform our business. We demand compensation. The woman at reception was very friendly and helpful. She gave us several recommendations on where to eat, how to get tram tickets, how to reserve parking. 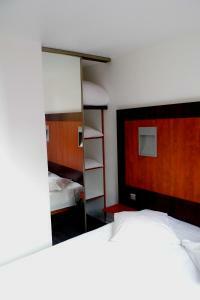 The apartment was clean, the beds comfortable, kitchenette functionable. The residence provides shower gel and handsoap. The residence is just across the street from the tramway and bus station that will take you into Geneva. Location was good because near to tram station was 100 meter away. Just 20 mins away from downtown Geneva via tram. 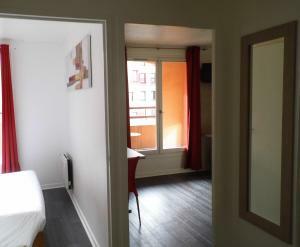 Neat&clean rooms for a modest price for Geneva region. 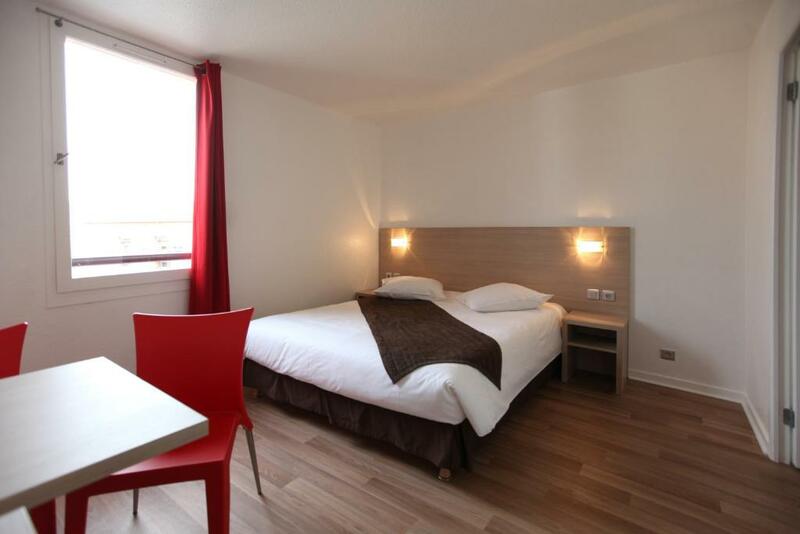 If you want a close location to Geneva and are not willing to pay €100+ prices, it's the perfect choice to stay. Good location and reasonably priced. Extremely easy to book and Super helpful staff. It is just off the border on the French side.The hotel is just next to the terminus for Tram 12 from Bel Air in central Geneva or right on 61 bus terminus of Moillesulaz, so really easy to find. Wi-Fi is very Good. Clean towels and sheets. Email with late check-in details for key collection were good but that's about all that was positive. Not far from the bus stop, a number of restaurants and a grocery store near by. On the Swiss border, Geneva Residence - Appart Valley is 150 feet from the Geneva tramway. It features studios and apartments with satellite TV and free Wi-Fi access. 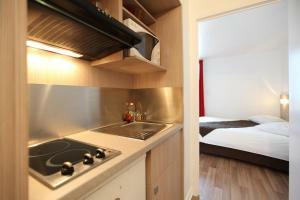 Apartments also have kitchens equipped with a stove, microwave, fridge and a coffee maker. 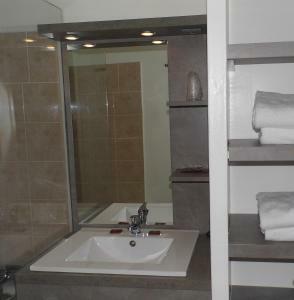 Accommodations have a private bathroom with a bathtub. Guests at the Geneva Residence - Apart Valley can enjoy nearby skiing during the winter and biking and hiking in summer. Private, underground parking is available on site, with an extra cost. Geneva Airport and Palexpo are both 6 miles from the property. This property is also rated for the best value in Gaillard! Guests are getting more for their money when compared to other properties in this city. When would you like to stay at Geneva Residence? 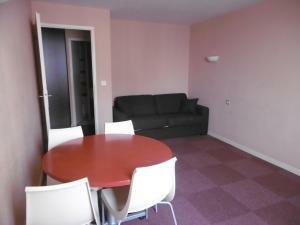 This studio features free Wi-Fi access, a TV with international channels and a dining area. 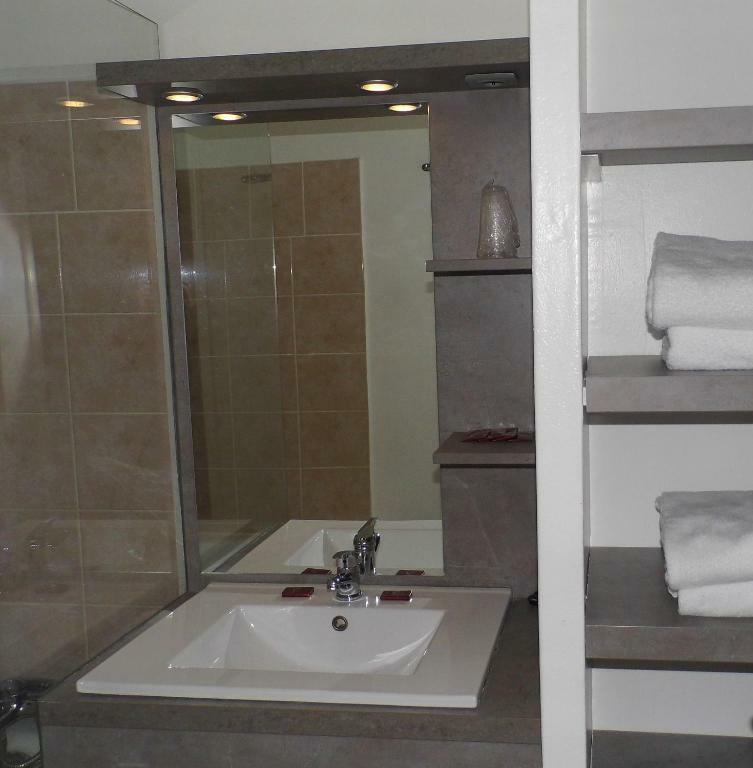 The kitchenette includes a microwave and a fridge, and the bathroom has a bathtub. This one-bedroom apartment has free Wi-Fi, a TV with international channels and a living area with a sofa bed. 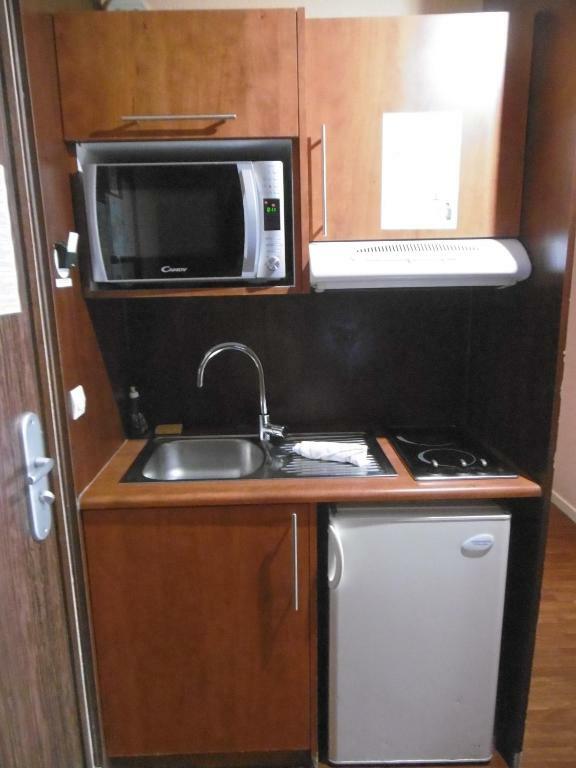 The kitchenette has a microwave and a fridge, and the bathroom has a bathtub. House Rules Geneva Residence takes special requests – add in the next step! Geneva Residence accepts these cards and reserves the right to temporarily hold an amount prior to arrival. Breakfast is available upon reservation, and is served from 8 am to 11 am. The property asked us to clean up the trash & bed making by ourselves upon checking out. The cleanliness standards really need to be improved. The bed sheets need to be replaced at the very least after 3 days. Only one tiny bar of soap and one small tube of shower gel was provided during my one week stay. I had to buy my own shower gel after one day. Convenient location and the lady receptionist is extremely helpful. It was everything good..close to transport easy access from the airport. Good value for money..
No one on reception after 8pm, so the key card was in a safe. The hotel did send me the code in case of late arrival, but I didn't get it because I didn't have the Internet password. I had to phone the security number, but everything worked out in the end. The breakfast doesn't start until 8am, which is a little late if you've got to work. The corridor was dark, especially when I come back in the evening from work. For a women, it can be a nervous experience. 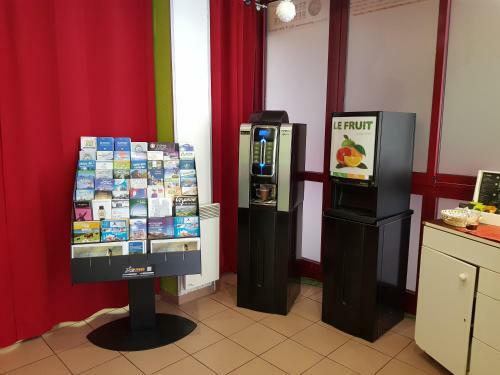 The facilities available was great given the amount of money charged. 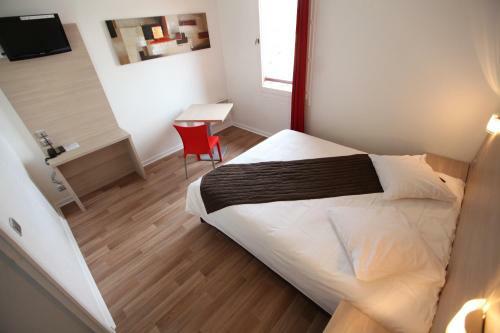 The location in terms of accessibility to the Tram and restaurants, bakery and other amenities was perfect. I also like the self service approach. Security of the room itself was great. Access after hours was good.